Welcome to the weekend, everyone, and yet another edition of the Weekend Blog. It’s also an Introduce Yourself Weekend, which means it’s time to head over to the Introduce Yourself section of the Lounge and not only make a post about yourself, but support other members of the community as well! Oh, and get some networking done in the process! Under ENTERTAINMENT AND INDUSTRY NEWS this week: Spielberg, Kennedy and Marshall wax poetic on how to win in Hollywood; Beau Willimon gets down and dirty with screenwriters; a West Wing reunion; NY steps up in the battle for more diverse voices in film and TV; John Singleton speaks out; the complete list of Tony Award winners (wonder if Hamilton won anything); the ship turns slowly according to Women in Film; The Hollywood Reporter gets busy with comedy actresses; how the Money Monster score was completed in less than a month; a crackdown in foreign Visa abuse; the summer box office slump analyzed and much, much more. In the VIDEOS section this week, a very cool look at the making of Memento, how you can make passion your life and a breakdown of Sorkinisms! Under TIPS this week, motivational, screenwriting, acting, cinematography, editing and filmmaking tips and tricks. Amanda and J’vona have been listening to your requests as it relates to your educational needs. They have booked some amazing webinars and classes with industry leaders at the helm. You can see all the upcoming Next Level educational offerings under STAGE 32 EDUCATION. 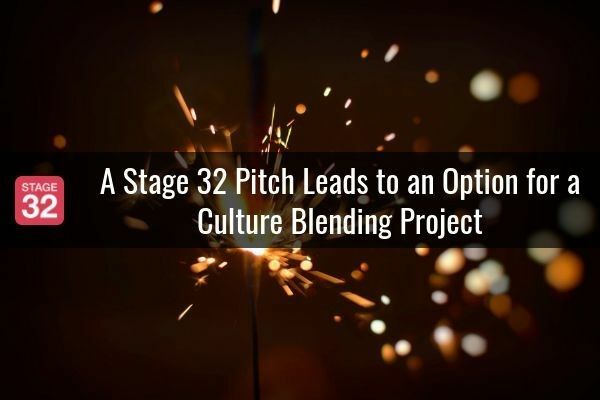 For everything else going on around the platform, be sure to check out STAGE 32 NEWS, STAGE 32 SUCCESS STORIES, STAGE 32 MEETUPS and POPULAR AND INTERESTING LOUNGE DISCUSSIONS. As always, I welcome remarks and discussion on any of the content below in the Comments section. Hope you all have a very creative weekend! On Stage With RB (May 2016) is Now Available To Watch On-Demand! - The May 2016 edition of On Stage With RB had a very special guest, Uma Incrocci. They talked about the SAG New Media and Ultra Low Budget contracts, and the best tips for actors to make a splash in the industry. 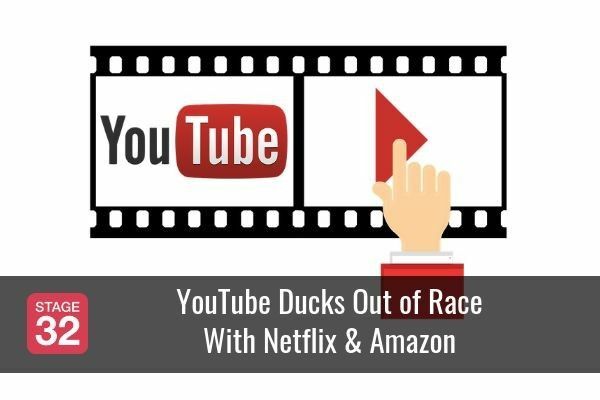 Uma, has worked in every area of the business from commercials to TV to web series to audiobooks. She worked extensively in regional and New York theater and co-produced/co-wrote the pilot Living in Captivity (official selection, NY Television Festival and LA’s Independent Television Festival). Now working out of LA, Uma’s TV credits include appearances on “How To Get Away With Murder,” “Jane The Virgin,” Hulu’s new show “The Path,” “Bored to Death,” “Louie,” “Pan Am,” “Lipstick Jungle,” and “Chappelle’s Show.” She’s also been in a wide variety of indie films as well the Jason Bateman comedy, “The Longest Week.” Click here to view the 2 hour Q&A session! Stage 32 Profile Pages - Updated & Upgraded! - Hey guys! As you know, we're always working on ways to improve your Stage 32 experience! Today, we are happy to introduce the upgrade to our Stage 32 profile pages. We have created a video where our CEO RB discusses these changes and how you can make the most of your profile page. Click here now to get the most out of your profile! BECOME A LOCATION SCOUTING PRO - Five Scouting Tips for Filmmakers! 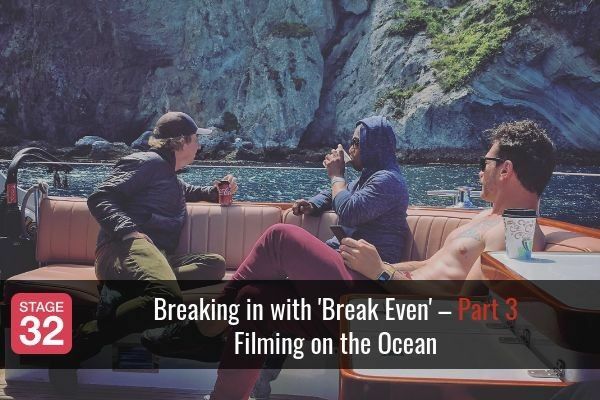 - Finding film locations can be a major hassle and with smaller budget projects, it can be an adventure to scavenge for locations yourself. We’re all looking for unique, one-of-a-kind locations, but with so many other production duties it becomes difficult to adequately scout. Click here to get the tips on how to scout and lock-in locations quickly and effectively. 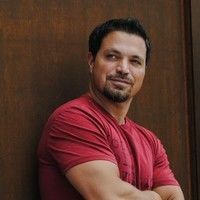 Finding Agency Representation as a Foreign Actor in the US (June 18) Learn directly from Mark Allan, who currently works in TV Talent development at one of the "Big Six" Hollywood agencies! He'll give you specific insider knowledge of the how to find agency representation if you're a foreign actor. In this Stage 32 Next Level Webinar, you will learn how you can increase your chances of finding an agent as a foreign actor new to the U.S. market. 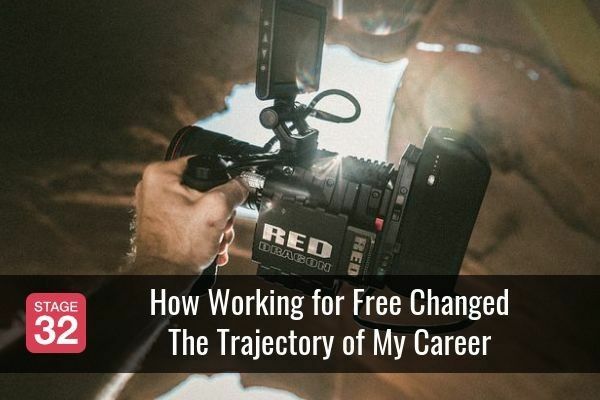 Using his experience working in the talent department at one of the "Big Six" Hollywood agencies, Mark Allan will guide you through what it takes to secure representation if you're hoping to make the jump. First, he'll cover what you should currently be focused on before arriving in the U.S. and building your career. 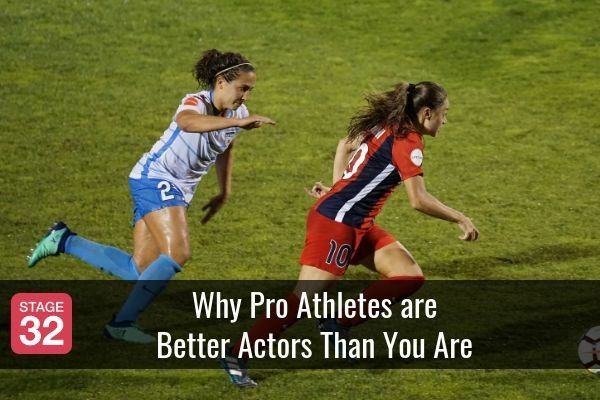 He'll examine why agents prefer talent that is already established elsewhere over new foreign unknown actors and how you can use your old representation to get U.S. agency attention. Mark also plans to give an overview of the visa process, including the challenges of doing it alone, getting a sponsor or hiring an attorney. You will walk away knowing how to approach building your career as a foreign actor seeking to establish yourself in the U.S. marketplace. Click here to register! Breaking Down IP (Intellectual Property) For Development (June 22) Ever read something in the paper you wanted to make into a movie? Got a great novel you absolutely love and think you should make it into a film? Well, before you do you'll want to make sure you can legally pursue this path. There are many aspects to securing the rights to an intellectual property but they don't have to stop you! In this jam-packed Stage 32 Next Level webinar, Breaking Down IP (Intellectual Property) For Development, Jordan Barel (Development, for Producer/Actor Paul Scheer and Abominable Pictures) will provide you a thorough examination of the legal aspects of trying to find and build your story. He walks through the hurdles, pitfalls, and aggravations you can avoid if you look for stories the proper (read: legal) way. In addition, we'll look at great ways to keep those stories safely in your hands and how you can make the next Robin Hood! You'll walk away from this webinar with the knowledge of how to approach stories you find interesting without getting yourself in a legal bind. 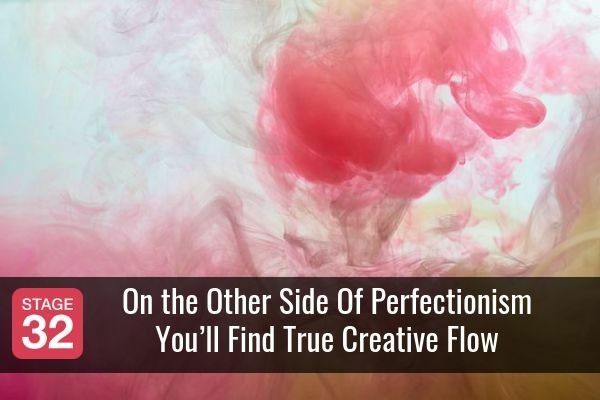 You'll find out what you need to know to be able to protect your work and focus on the creative development of your projects. Click here to register! 8 Week Intensive TV Drama Pilot Writing Lab - Due to popular demand, Stage 32 is thrilled to bring back our 8 Week Intensive TV Drama Pilot Writing Lab taught by Morgan Long, a TV development coordinator at a “Big Six” Agency! This hands-on intensive lab will guide you through picking a concept, creating engaging characters, structuring and outlining your pilot and writing the first draft! The main objective of this 8-week lab will be to have a first draft of your script. You will meet online with Morgan for 2 hours a week in a class setting, plus have phone consultations during some of the weeks when you don't have an online class. This will be accompanied by weekly homework assignments to guide you on your way to creating a marketable, unique pilot that will grab the industry's attention. This lab is designed for beginner and intermediate screenwriters looking to build a pilot from scratch or expand on an existing idea. This is an intensive lab and will require full writing effort. Payment plans available. To review this amazing opportunity and register, click here. Ari Friedman - Paradigm Talent Agency Saturday, June 18th Specializes in romance, drama and comedy features. By immense popular demand, we are thrilled to bring you The 2nd Annual Stage 32 Happy Writers Feature Script Contest. We are looking to find the top undiscovered writers and the best feature scripts of 2016. As a result of our history with industry insiders and our global reach, we are able to connect the top writers from around the world to leading executives who can make a difference in their career. 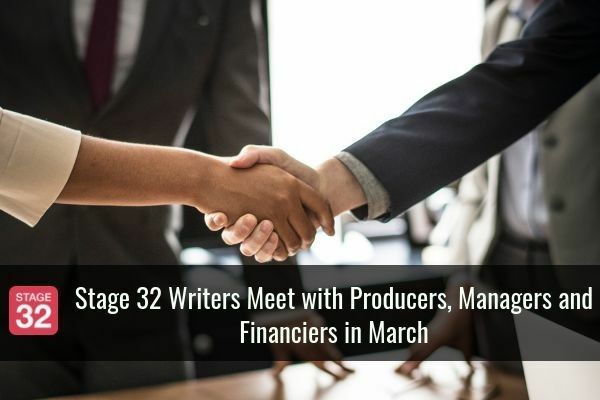 We develop and champion the best new writers in Hollywood, and executives across the industry love discovering talent from Stage 32 - click here to see what they say about us. Also, our success stories speak for themselves. To read about this contest and register before the June 15th Deadline Click here! STAGE 32 SUCCESS STORIES: Requested by Whitewater Films! ACTING: Smokin' Jeff Daniels SAG-AFTRA interview! ACTING: Will production fly to film you? ACTING: Motivation For Any Actor Struggling in Los Angeles. ACTING: Having trouble finding non-acting work? ANIMATION: Stop-Motion: How to Get Into the Business? ANIMATION: Every Pixar film ranked by box office. AUTHORING & PLAYWRITING: Self-publish? Don't Self-Publish? AUTHORING & PLAYWRITING: What are some sites that can link freelance writers to writing opportunities? CINEMATOGRAPHY: If it puts out a clean image, does it matter what camera you use? COMPOSING: Best recorded/virtual instruments for your DAW? COMPOSING: from Variety today... just sharing if this is something our members/musicians/composers would be interested in reading... more from Variety. DEVELOPMENT: Do you know of any good books on development of an independent film? FILMMAKING / DIRECTING: Making a short like a trailer/ok? FILMMAKING / DIRECTING: Not Answering Questions On Set A Good Thing? FINANCING / CROWDFUNDING: How To???? FINANCING / CROWDFUNDING: What to do for successful crowdfunding campaign. FINANCING / CROWDFUNDING: Pitch videos? ON SET CREW: Stage Blood won't come off! ON SET CREW: Is this a scam? ON SET CREW: Noise Canceling Headphones? POST-PRODUCTION: Who is in-charge of Closed Captioning, Subtitles and Audio Description in the production chain? PRODUCING: How Is This Even Possible???? PRODUCING: Who is in-charge of Closed Captioning, Subtitles and Audio Description in the production chain? 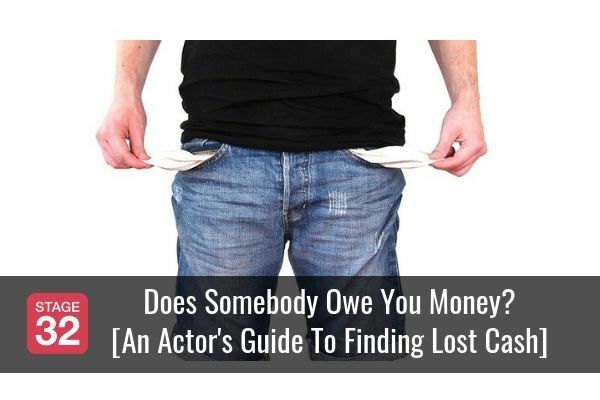 PRODUCING: Can I hire a casting director with a shoestring budget? SCREENWRITING: Come meet your fellow writers and the Stage 32 Happy Writers team! SCREENWRITING: How do I start? Help?! TRANSMEDIA: What is transmedia anyway? TRANSMEDIA: When it comes to storytelling, using Instagram as a transmedia tool can be powerful.